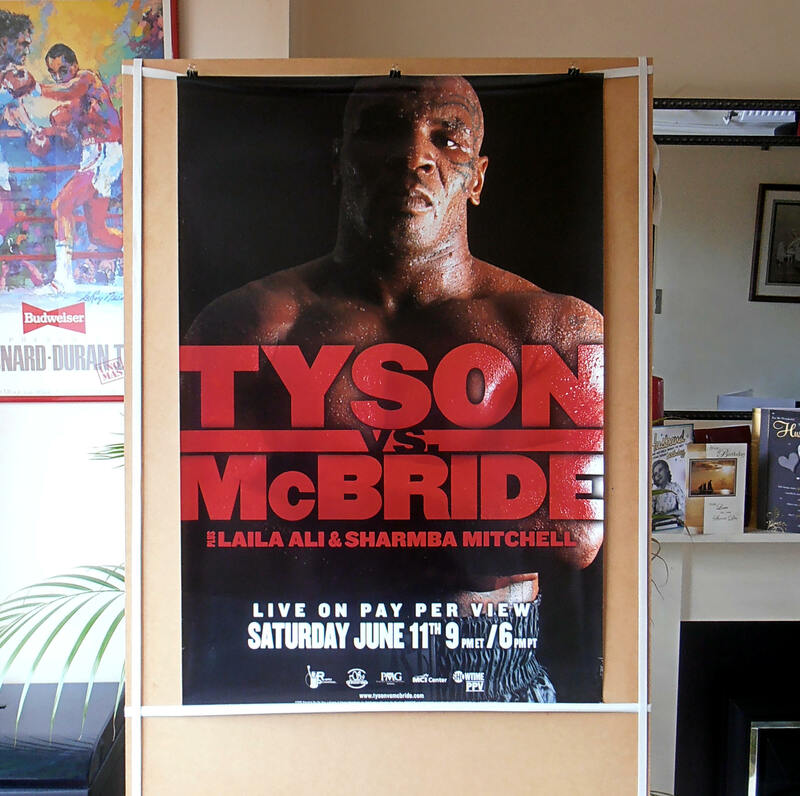 Description : Here we have an original Showtime Boxing Pay-Per-View poster for the Mike Tyson Kevin McBride heavyweight contest. Here we are at THE END OF THE LINE! The great roller coaster career of Iron Mike Tyson finally came to an end what with him now just fighting on to pay back taxes to the IRS. 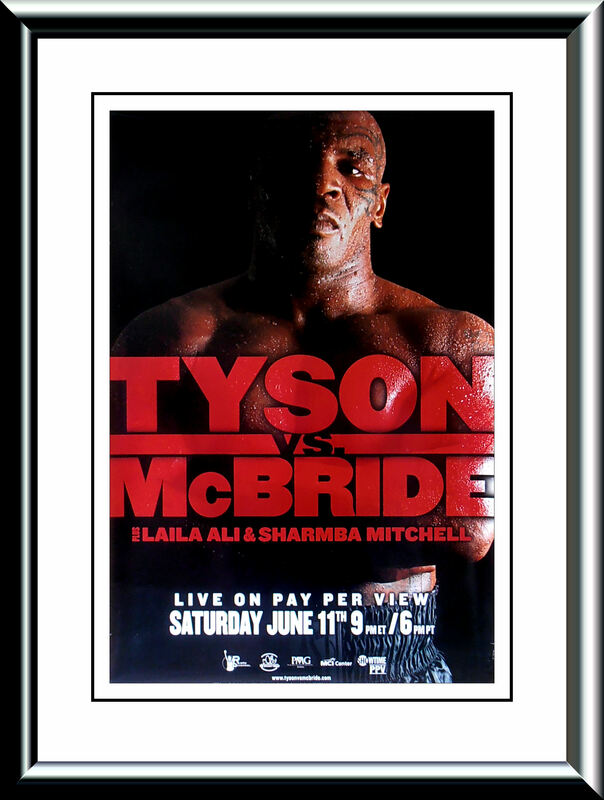 Tyson tried to break McBride's arm in a clinch in the sixth round. 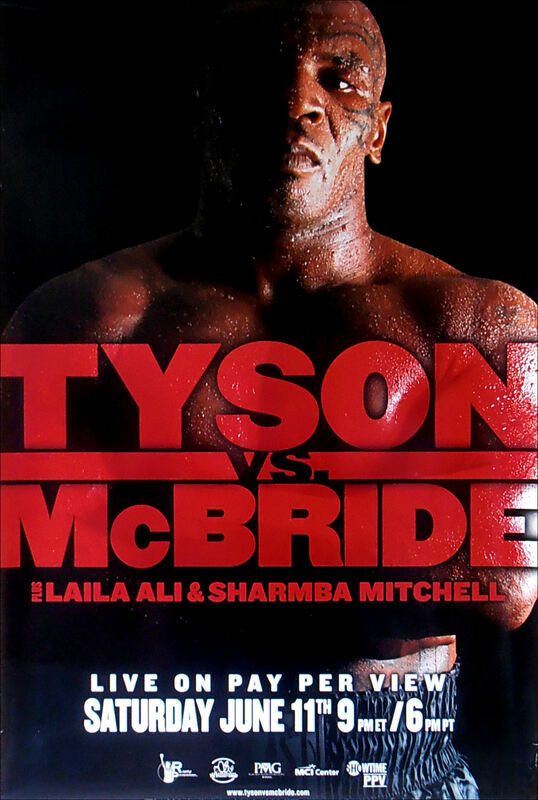 Later in the round, he opened a cut above McBride's left eye with an intentional headbutt and referee Joe Cortez deducted two points from Tyson. Tyson quit after the sixth round & then announced his retirement from the sport after the fight, saying, "I don't have the guts to fight anymore. My heart is not in it anymore. I don't want to disrespect the sport I love." Condition : Excellent/minor handling & edgewear/framed 4 display purposes only!